The tensions that can exist between business needs and environmental regulation are well understood by Mitchell L. Guc. Through client collaboration, he believes these two often-opposing forces can be harmonized with efficient, effective, and practical solutions. 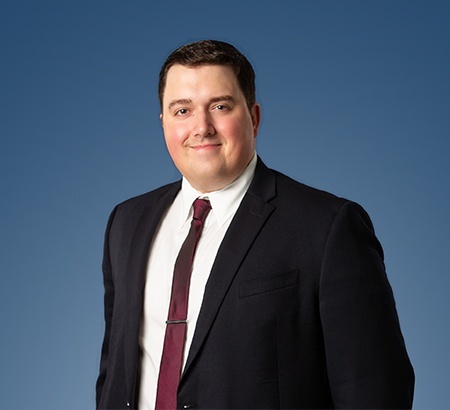 Mr. Guc is an associate at Eastman & Smith, and he is part of the Firm’s Environmental, Natural Resources, Public Law and Real Estate Practice Groups. Mr. Guc’s interest in the environment began at a young age. He spent several seasons as a parks and recreation employee for the Michigan Department of Natural Resources before and during college. His experience at MDNR, coupled with his long-held fascination with the natural sciences, led him to attend the University of Michigan. There, he majored in Earth and Environmental Sciences. After earning his undergraduate degree, Mr. Guc worked as a project manager at an environmental consulting firm. Much of his job focused on concerns arising from wetlands, lakes and streams issues under the Clean Water Act. This involved working with state and federal environmental agencies along with reporting on environmental regulations for clients in a manner that was easily understood. Furthermore, Mr. Guc interned with the Michigan Department of Environmental Quality’s Southeast Michigan Water Resources Unit. He regularly uses the knowledge gained during his time at MDEQ to address the regulatory issues faced by Eastman & Smith clients. During law school, Mr. Guc worked for the University of Toledo’s Civil Advocacy Clinic, an organization that assists those unable to afford legal counsel. His cases involved thorny issues such as the parental rights of a non-biological parent as well as political and religious asylum. Through these and other cases, he developed the ability to sort through mazes of legal issues in rapidly changing areas of law. The summers of his law school years found Mr. Guc working in the legal industry. He spent one summer as an extern with the Environmental Enforcement Section of the Ohio Attorney General’s Office, where he worked on issues under the Clean Air Act and Ohio mining law, among others. He also spent a summer working for Eastman & Smith, gaining broad experience in environmental, employment and estate planning law. This exposure to other areas of law illustrated how one business may be affected by different aspects of the legal system. Additionally, Mr. Guc was editor-in-chief of The University of Toledo Law Review, where he wrote an article discussing recent changes to the Toxic Substances Control Act (“TSCA and the Lautenberg Act: Bloated Regulation, Or Effective Legislation?”). While president of the University’s Environmental Law Society, Mr. Guc advocated for the study of environmental law among his peers while also assisting with the operation of environmentally focused events, such as the annual Great Lakes Water Conference. Mr. Guc’s interest in the environment also extends to his recreational activities. He enjoys hiking and recreational shooting, as well as traveling—an activity that supports his other hobbies of rock and coin collecting. As an avid University of Michigan football fan, from a family of fans, playing the trumpet in the University’s marching band was an ideal way for Mr. Guc to attend the games. He proposed to his wife, Kasey, on the M at Michigan Stadium. It is a good thing she, too, enjoys the University’s sporting events. The Gucs reside in Michigan.